15 A cave cricket is a horned insect with a powerful leap. 15 The crickets from which modern cave crickets evolved would not have been horned. It's unknown how this change has occurred. 25 Cave crickets are descended from one of the crickets of the Rhaphidophoridae family. Compound Eyes and Keen Sense of Smell. The cave cricket has advantage on Wisdom (Perception) checks to notice movement, or that rely on smell. Standing Leap. The cricket’s long jump is up to 15 feet and its high jump is up to 10 feet, with or without a running start. Horn. Melee weapon attack: +4 to hit, reach 5 ft., one target. Hit: 6 (1d8 + 2) piercing damage. Multiattack. 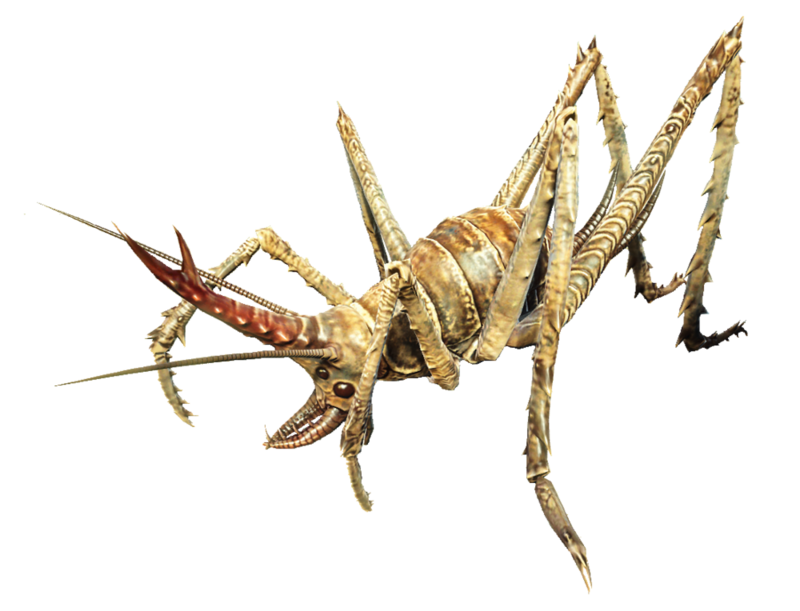 The cave cricket hunter makes two attacks with its horn and one with its bite. Bite. Melee weapon attack: +6 to hit, reach 5 ft., one target. Hit: 6 (1d6 + 3) piercing damage. Horn. Melee weapon attack: +6 to hit, reach 5 ft., one target. Hit: 7 (1d8 + 3) piercing damage. Bite. Melee weapon attack: +8 to hit, reach 5 ft., one target. Hit: 7 (1d6 + 4) piercing damage. Horn. Melee weapon attack: +8 to hit, reach 5 ft., one target. Hit: 9 (1d10 + 4) piercing damage. Radioactive Glow. The glowing cave cricket sheds bright light in a 20-foot radius and dim light for an additional 20 feet. Bite. Melee weapon attack: +9 to hit, reach 5 ft., one target. Hit: 7 (1d6 + 4) piercing damage and 4 (1d8) radiation damage. Horn. Melee weapon attack: +9 to hit, reach 5 ft., one target. Hit: 9 (1d10 + 4) piercing damage and 4 (1d8) radiation damage.